At registration and at various times as you use the LearnHealth Network, you may be given the option of providing us with Personal Information in order to receive recurring email newsletters that LearnHealth will produce from time to time. If you sign up for our email newsletters, you can choose to opt out of receiving additional newsletters from LearnHealth either by (1) following the directions included at the bottom of the newsletter or (2) logging in to your LearnHealth Network account and unchecking the newsletters you no longer wish to receive under the “My Profile” section. LearnHealth offers its users the chance to communicate with their contacts through a variety of social media tools directly through the LearnHealth Network. If you use the LearnHealth Network to email a contact, we will ask you for your name, your email address, and your contact’s email address. We will automatically send your contact a one-time email, inviting her or him to visit the site. That email will use your name and email address as the “from” email address. But LearnHealth does not use your contact’s email information for any other purpose. We will only use the information you provide to send the requested email to your contact. If you use the LearnHealth Network to tweet at a contact, we will ask you for your name, your Twitter® handle, and the Twitter® handle of your contact. We will automatically send your contact a one-time tweet inviting her or him to visit the site. That tweet will use your name and Twitter® handle as the “from” information. LearnHealth does not use your contact’s Twitter® information for any other purpose. We will only use the information you provide to send the requested tweet to your contact. You may also provide information to be published or displayed (hereinafter, “posted") on public areas of the LearnHealth Network, or transmitted to other users of the LearnHealth Network or third parties (collectively, “User Content”). Your User Content are posted on and transmitted to others at your own risk. Although [we may limited access to certain pages/you may set certain privacy settings for such information by logging into your LearnHealth Network account], please be aware that no security measures are perfect or impenetrable. Additionally, we cannot control the actions of other users of the LearnHealth Network with whom you choose to share your User Content. Therefore, we cannot and do not guarantee your User Content will not be viewed by unauthorized persons. Even if you do not register with or provide any Personal Information to LearnHealth, we may collect Non-Personal Information, as defined below, about your use of the LearnHealth Network. “Non-Personal Information” means information that LearnHealth cannot use to identify or contact you. LearnHealth may also acquire Non-Personal Information about its users from external sources. While you may use some of the functionality of the LearnHealth Network without registration, many of the specific tools and services on the LearnHealth Network require that you register an account with the LearnHealth Network. Most browser software can be set to reject Cookies. Most browsers offer instructions on how to reset the browser to reject Cookies in the “Help” section of the toolbar. If you reject our Cookies, certain of the functions and conveniences of the LearnHealth Network may not work properly, but you do not have to accept our Cookies in order to productively use the LearnHealth Network. If you have registered an account with the LearnHealth Network and desire to delete any of your Personal Information you have provided to LearnHealth from our systems please contact us using the contact information listed below. Upon your request, LearnHealth will delete your Personal Information from our active databases and where feasible from our back-up media. You should be aware that it is not technologically possible to remove each and every record of the information you have provided to the LearnHealth Network from our servers. To provide you with access to particular tools and services. To send personalized emails or secure electronic messages pertaining to your health interests, including news, announcements, reminders, and opportunities from LearnHealth. To respond to inquiries you send to us and to send you communications about the LearnHealth Network or its services. To obtain your feedback about the LearnHealth Network or our offerings. To statistically analyze user behavior and activity including how frequently areas of the site are visited and how many emails are received and opened. To provide you and people with similar demographic characteristics and interests with more relevant content or advertising both on the LearnHealth Network or on other websites that you visit after you leave the LearnHealth Network. To conduct research and measurement activities, including those described below. To notify you about changes to the LearnHealth Network or any products or services we offer or provide through it. Information that LearnHealth collects about you may be combined by LearnHealth with other information available to LearnHealth through third parties for research and measurement purposes, including measuring the effectiveness of content, advertising, or programs. This information from other sources may include age, gender, demographic, geographic, personal interests, product purchase activity, or other information. We may report aggregate information, which is not able to be identified back to an individual user of the LearnHealth Network, to our current or prospective advertisers and other business partners. We do not sell or share any Personal Information with any third parties, except that contractors performing services on our behalf may be provided access to Personal Information when performing these services. These contractors agree not to use this information for any purpose other than performing services on our behalf. If we believe disclosure is necessary or appropriate to protect the rights, property, or safety of LearnHealth, our customers, or others. To a buyer or other successor in the event of a merger, divestiture, restructuring, reorganization, dissolution, or other sale or transfer of some or all of LearnHealth’s assets, whether as a going concern or as a part of bankruptcy, liquidation, or similar proceeding, in which personal information held by LearnHealth about the users of the LearnHealth network is among the assets transferred. We may share Non-Personal Information that we have about you, including about your browsing activity on the LearnHealth Network, with third party advertising service providers who may use this information, on our behalf, to help LearnHealth deliver advertising on the LearnHealth Network as well as on other sites on the Internet. How Does LearnHealth Secure and Retain Your Information? LearnHealth takes reasonable security measures to protect the security of your Personal Information. Despite LearnHealth’s efforts to protect your Personal Information, there is always some risk that an unauthorized third party may find a way around our security systems or that transmissions of your information over the Internet may be intercepted. The security of your Personal Information is important to us. When you enter Personal Information in various tools on the LearnHealth Network, we encrypt the transmission of that information or use SSL connections (Secure Socket Layer) technology. LearnHealth will retain your Personal Information as long as your account is active or needed to provide you services. At any time you can remove your Personal Information or instruct us to remove it. However, you should be aware that it is not technologically possible to remove each and every record of the information you have provided to LearnHealth from our servers. LearnHealth tools that collect and store Personal Information allow you to review, update, and/or correct information you have submitted by going back to the specific tool, logging-in, and making the desired changes. We will also retain your Personal Information as necessary to comply with legal obligations, resolve disputes, and enforce our agreements. We are committed to protecting the privacy of children. 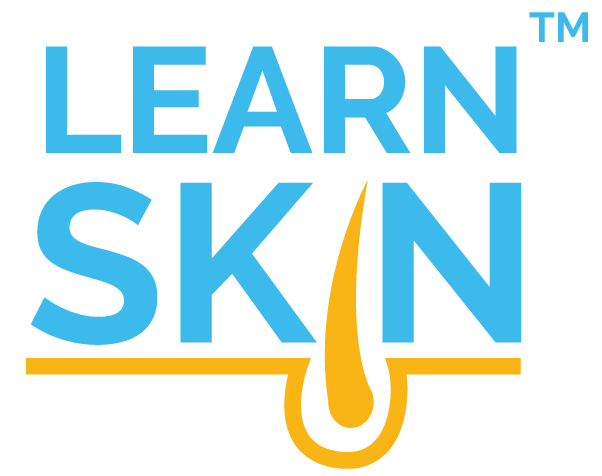 The LearnHealth Network is not designed or intended to attract children under the age of 13. We do not knowingly collect personal information from children under the age of 13.